With some of the best motor oil brands always in stock, Firestone Complete Auto Care is the place to go for an oil change in Levittown. Take advantage of our oil change deals today! To keep your engine healthy for the long haul, turn to your nearest oil change places. In Levittown, Firestone Complete Auto Care is the full service shop of choice for great oil change specials and top notch customer service. Routine oil changes can help keep your engine's most important parts well-coated and guarded from friction and heat, two of its problem starters. If motor oil gets too old or too low, the engine can't perform properly and could be damaged. Avoid unnecessary wear and tear on your engine by scheduling an oil change every 3 months or 3,000 miles, or as recommended by the vehicle manufacturer. Our professional technicians go the extra mile with every oil change. A qualified technician will consult with you about the best motor oil for your climate and car, whether that's high mileage oil, synthetic, synthetic blend, or conventional oil. Then we'll replace and recycle your old oil and filter, examine other critical filters, and fill up important fluids. Including coolant! Also, our Levittown oil changes always include a courtesy check, totally free of charge! Technicians will visually examine your truck or car from front to back to help ensure your lights, battery, belts, hoses, wipers, and tires are up to par. Find the right engine oil from your favorite brand, only at your nearby Firestone Complete Auto Care. You can get a competitively priced oil change, thanks to seasonal offers, brand specific discounts, and synthetic oil change coupons. Cheap oil changes can't last forever! Let our ASE-certified technicians take care of your car's engine and schedule your appointment for an oil change in Levittown today! 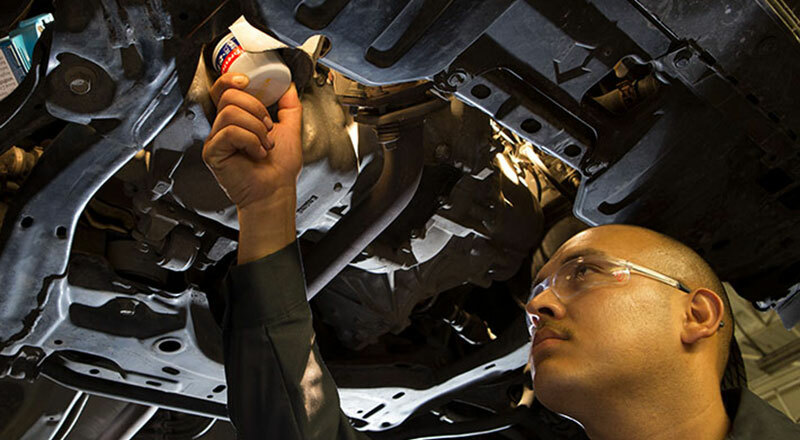 From transmission work to engine tune-ups to headlight replacements, rely on your nearby Firestone Complete Auto Care for your auto service needs. We're your all-in-one tire store, car care center, and automotive shop. Our skilled technicians care about keeping your car running newer, longer. Regardless of the maintenance your car or truck needs, we will strive to make your visit satisfying. Experience the difference and book an appointment online for auto service in Levittown, Pennsylvania today.